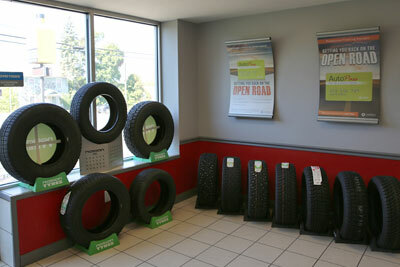 Harry’s Tire is your friendly neighborhood tire and four-wheel alignment experts with deep roots in Auburn, NY. Harry Chadwick founded the store in 1913, over a century ago, and it has remained a family-owned business since then. From our original location on Garden Street to our current shop at 142 Grant Avenue, we have remained committed to quality service, ensuring safety, and leaving our customers with a smile. 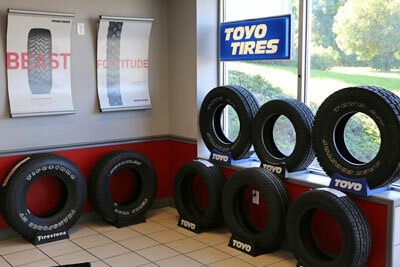 Our tire experts are on hand to help you select and install the right brand of tires for your ride. We carry all the leading brands and can order specialized items if you so desire. We are also happy to provide free rotation to our valued customers. Every sale comes with a road hazard warranty, so you can ride off with a feeling of security in addition to a great deal. There are many factors to consider when you’re thinking about swapping out your tires. Today, tires are generally designed to last up to 50,000 miles, but the type of car you drive, weather conditions, and, above all, whether the tires are properly inflated, will determine the lifespan. If you have questions, come see us for an assessment of your tires. Rotating your tires helps to ensure that your tread wears evenly. Again, the type of car and whether it’s four-wheel drive or not will influence the time between rotations. Your car owner’s manual should tell you, but a good rule of thumb is every 5,000–8,000 miles. When you buy your tires at Harry’s Tire, we’ll rotate them free of charge! Setting the tires on your ride to a proper angle will help reduce the wear on your tires, making sure they’re all rolling in the proper direction, reducing friction. We can handle your alignment quickly and easily, without an appointment! Visit Harry’s Tire today to see why generations of people in Auburn have made us their tire sales and vehicle maintenance destination of choice!